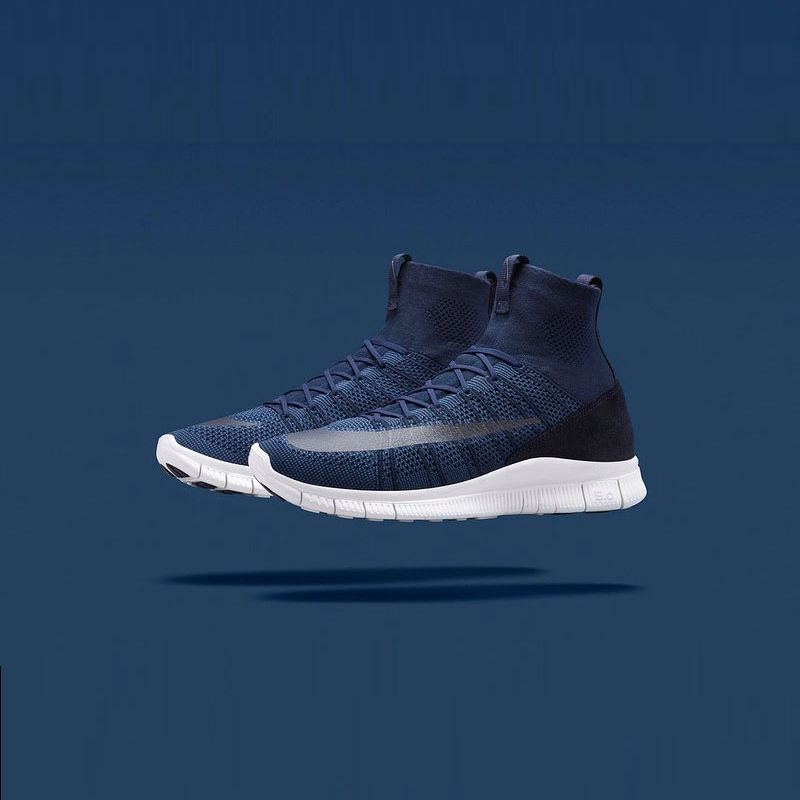 Nike brings the innovation, performance and bold personality of the new Nike Mercurial Superfly boot to the streets with the introduction of the Nike Free Mercurial Superfly by HTM. 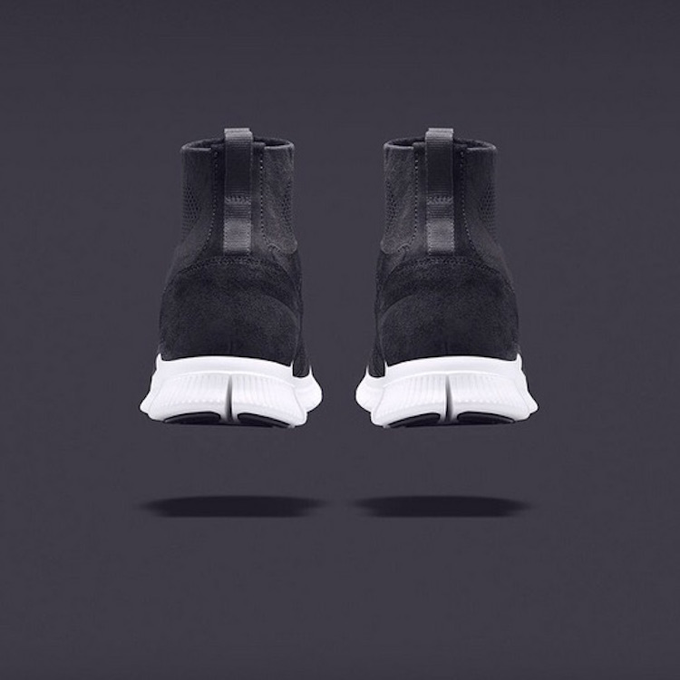 Filtered through the collaborative design lens of NIKE, Inc. President and CEO/ designer Mark Parker, Fragment Design Founder Hiroshi Fujiwara and Nike design legend Tinker Hatfield, HTM continues its tradition of hinting to the future of footwear design with disruptive interpretations that defy convention. 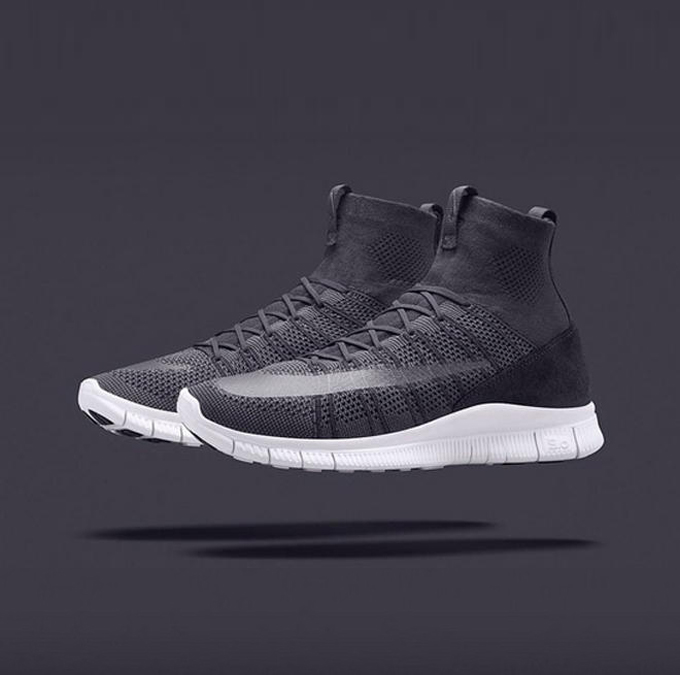 Dedicated to disciples of design and innovation, the Free Mercurial Superfly by HTM is inspired by the benefits of performance football and also integrates Nike’s most celebrated performance technologies such as Nike Flyknit and Nike Free. 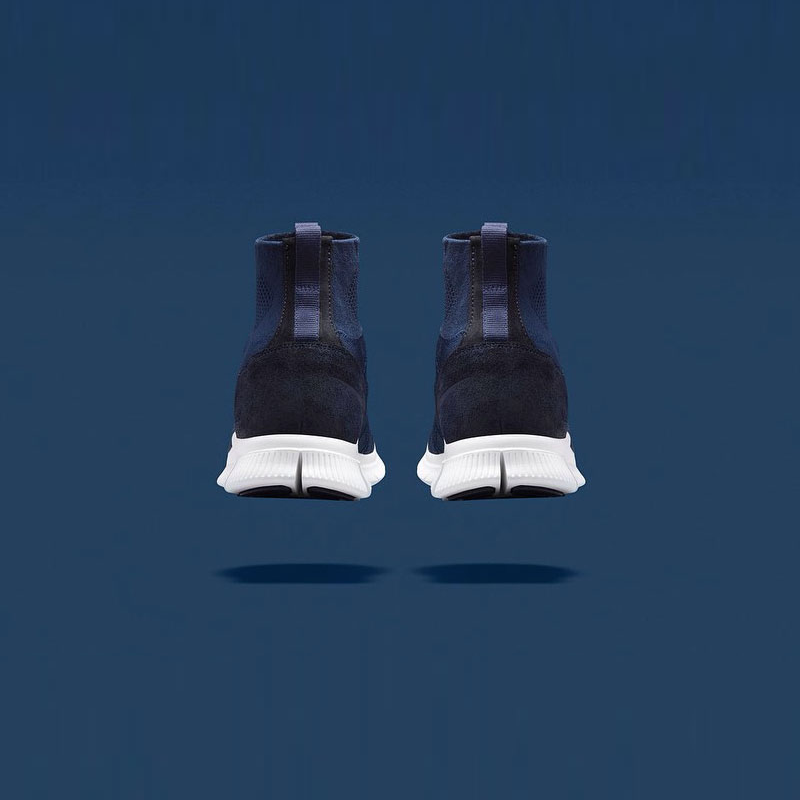 Playing off the performance benefits of fit, heightened sensation and natural motion, the Free Mercurial Superfly by HTM acknowledges the need for these same performance benefits to respond to the rigors of everyday wear. 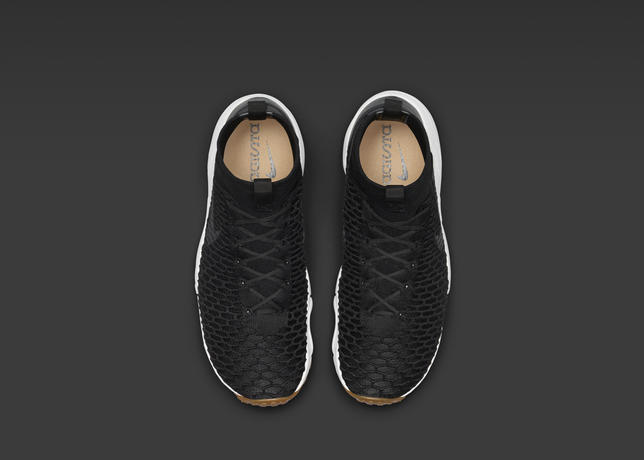 To capture the aesthetic language of speed and style associated with the Nike Mercurial design ethos, the shoe retains a lightweight Nike Flyknit upper. Similar to that of the Mercurial Superfly boot, it boasts a sock-like fit and high, integrated ankle cuff that eliminates distraction and enhances reaction—on or off the pitch. 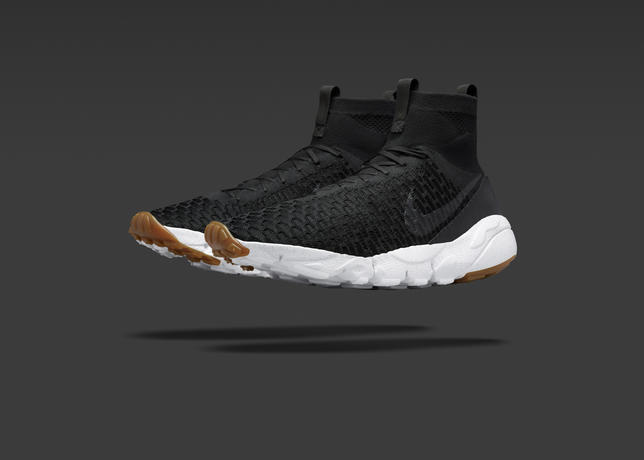 Likewise, dynamic Nike Flywire cables were preserved to boost support, while NIKESKIN, which provides waterproofing on the boot, was eliminated to enhance breathability. 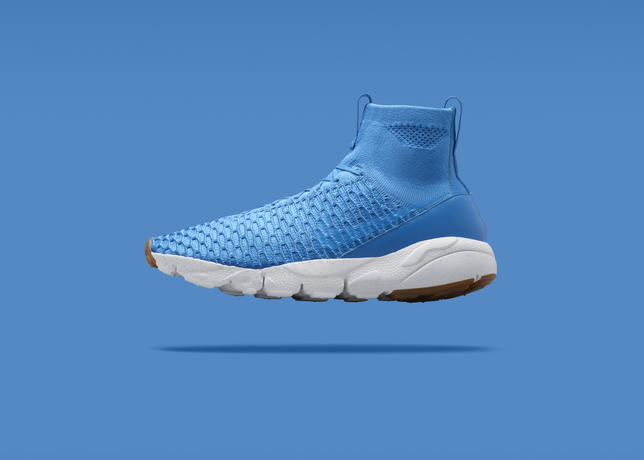 The Swoosh logo, which is airbrushed and oversized, reflects the Mercurial boot’s trademark look. 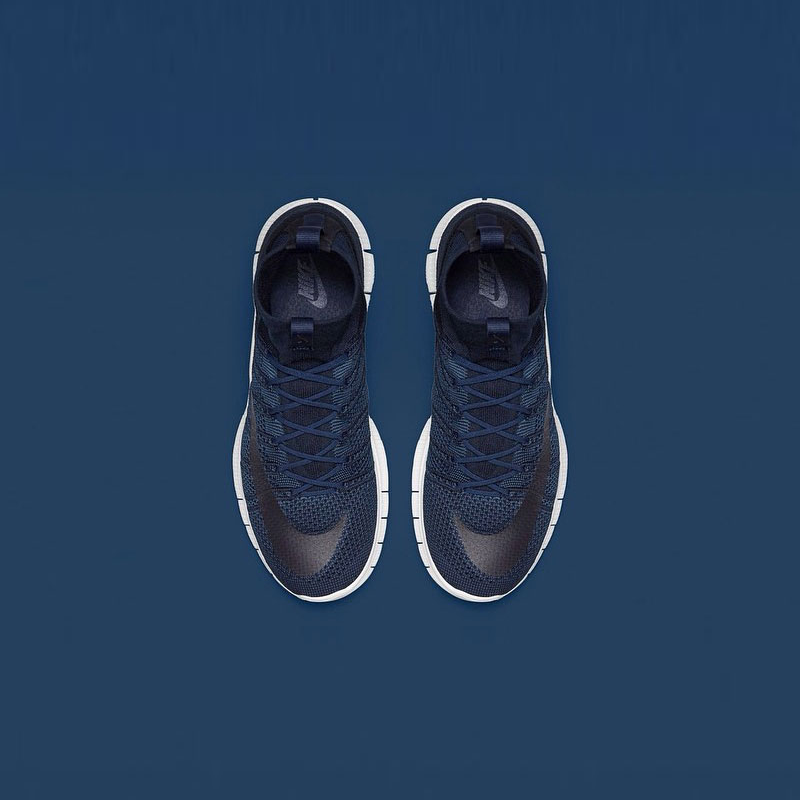 A Nike Free 5.0 platform sole complements the form-fitting upper and enhances natural motion for a comfortable, flexible ride; the leather heel adds support and premium styling. The Nike Magista football boot is the definition of redefinition. Its radical design, highlighted by its now-iconic Nike Flyknit upper, completely changed the concept of how football boots look and perform. 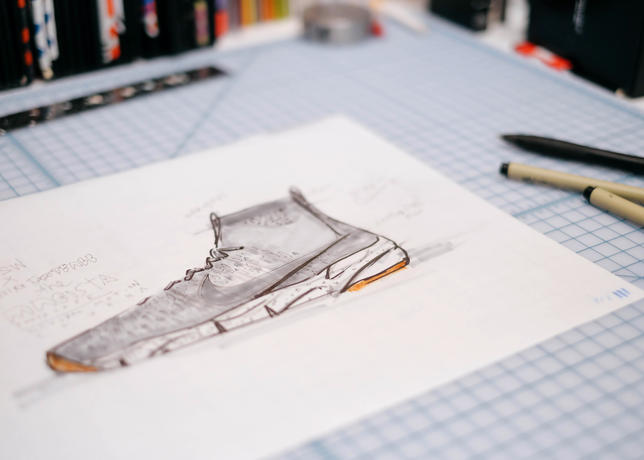 The boot’s innovation has served as a canvas for inspiration amongst the broader Nike design team. 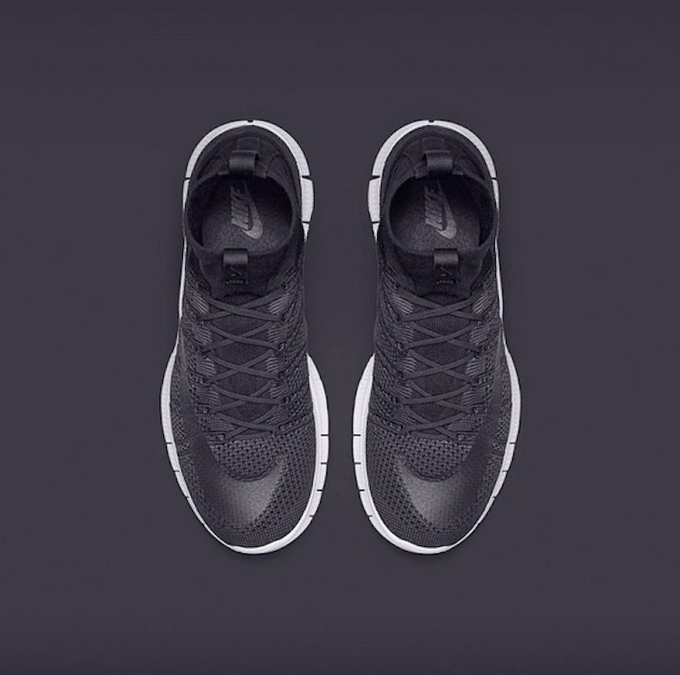 Just as the Nike Free Mercurial Superfly by HTM did. 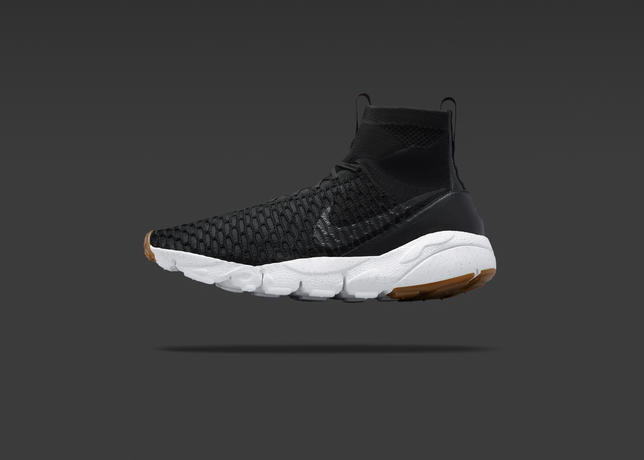 This sock-like sensation is achieved primarily through the Nike Air Footscape Magista’s Flyknit upper. 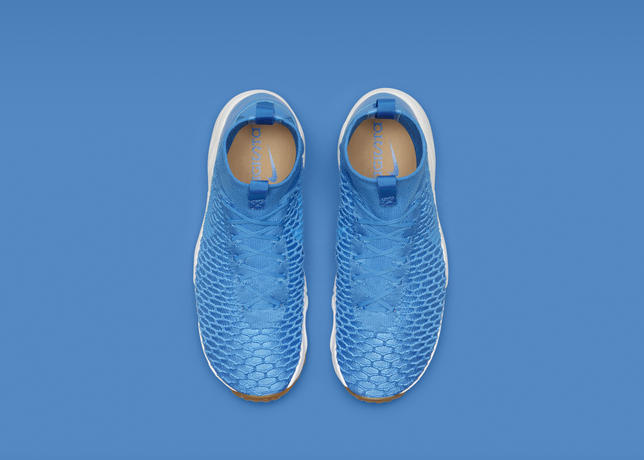 Flyknit technology seamlessly integrates areas of breathability, stretch and support where they’re needed most, while also reducing waste in the manufacturing process. 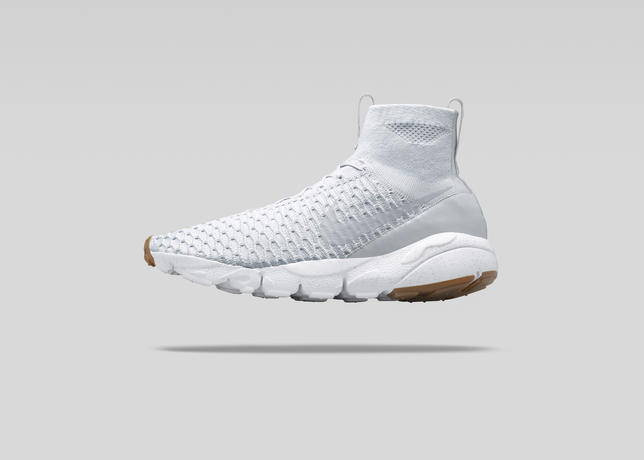 For enhanced breathability, the Air Footscape Magista is free of the NIKESKIN that provides weather protection in the football boot. 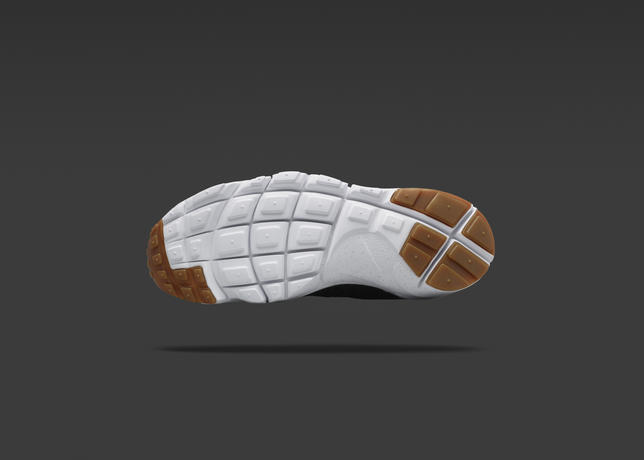 However, for aesthetic effect, the tonal Swoosh logo is constructed with the protective material. 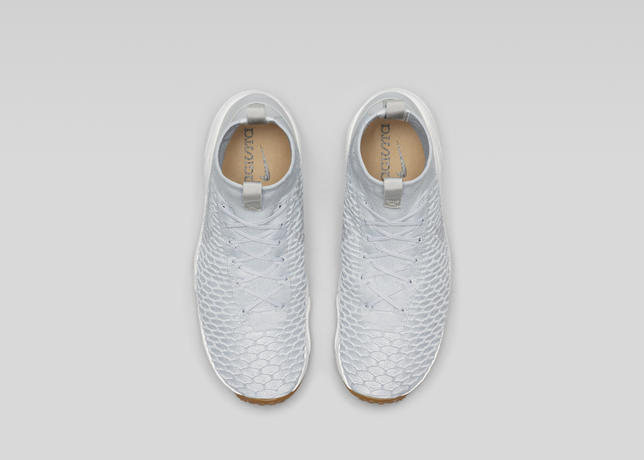 In addition, the shoe’s Flyknit upper features the same deep texture that is a signature element of the Magista football boot. 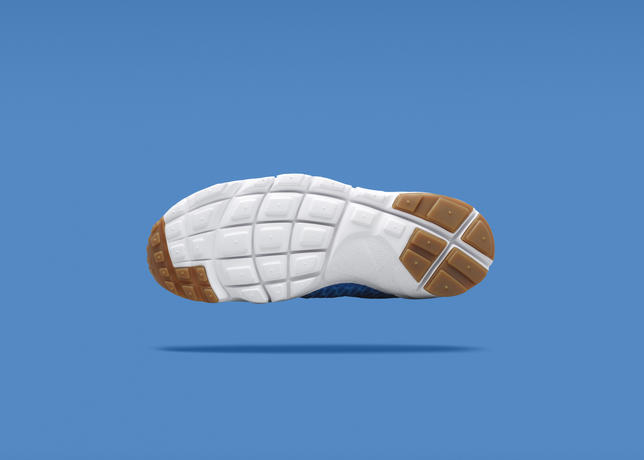 This natural feel extends to the outsole, which features an Air Footscape Freemotion tooling. 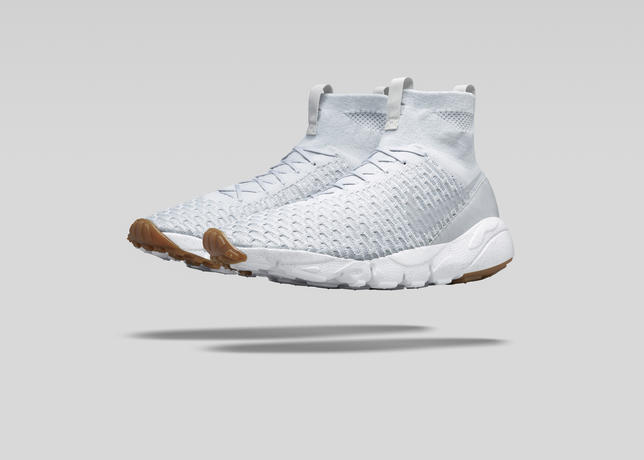 First introduced in 1995, the Air Footscape tooling was formed to mimic the natural shape of the foot. 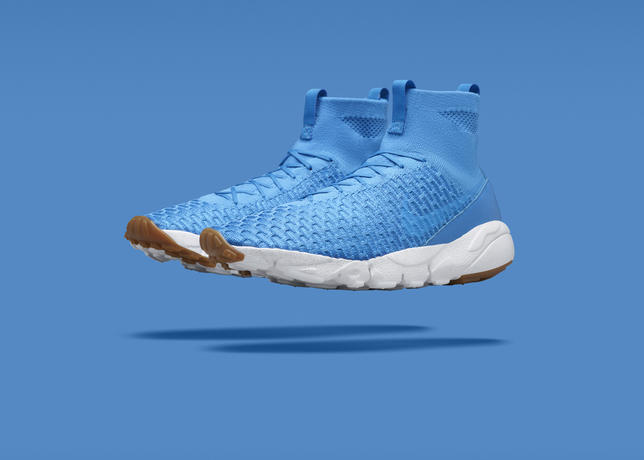 It was updated to its current Air Footscape Freemotion state in 2010 with Nike Free-inspired siping, which better enables the athlete’s natural motion. 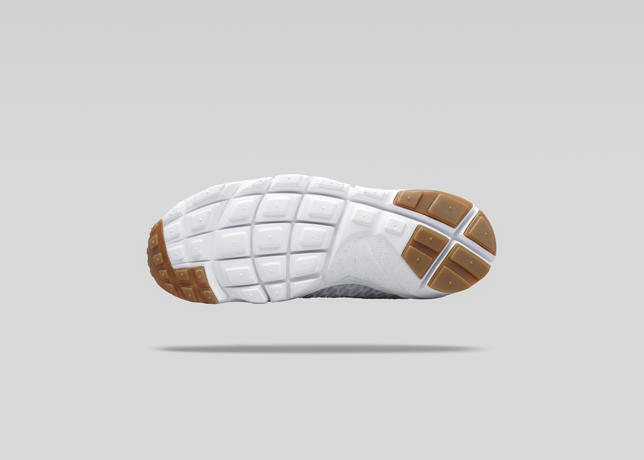 An encapsulated Air-Sole unit in the heel provides added cushioning.